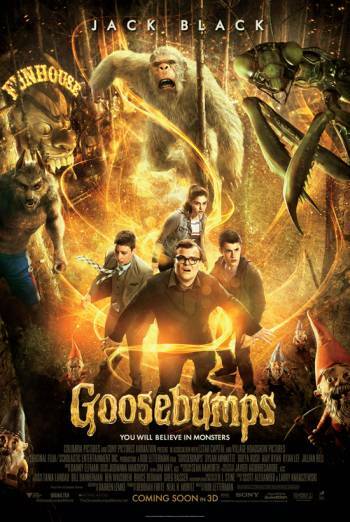 Summary GOOSEBUMPS is an adventure horror about a boy who has to save his town when hundreds of monsters are unleashed from his neighbour's book collection. This film was originally seen for advice. The company was told it was likely to be classified 12A, but that their preferred PG could be achieved by making reductions to one scary scene. When the film was submitted for formal classification, this sequence had been acceptably reduced and the film was passed PG.